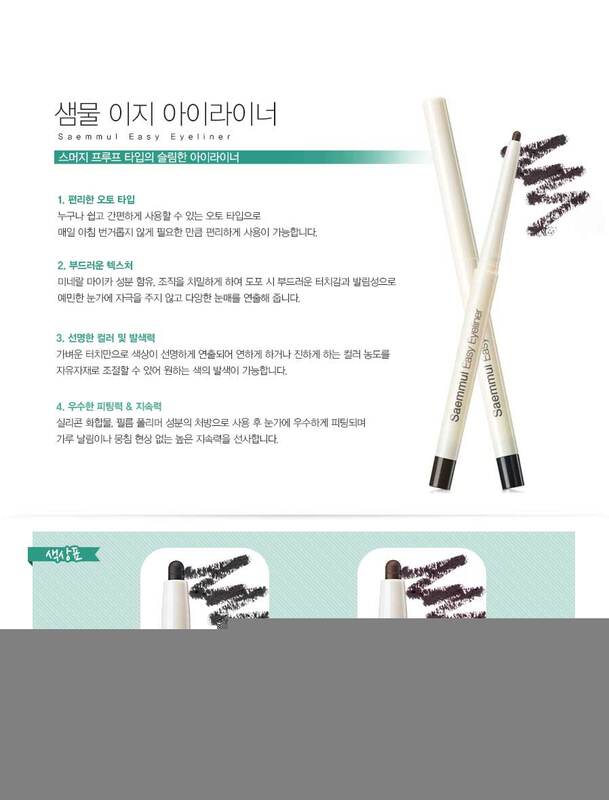 Auto type eye liner for easy to use. Soft texture containing mineral ingredients gives soft touch with no irritation for sensitive eyes. Vivid colors and good fittings. Silicon film polymer formula for lona lasting. Fill between eyelashes and line, from front to end and draw line gently.